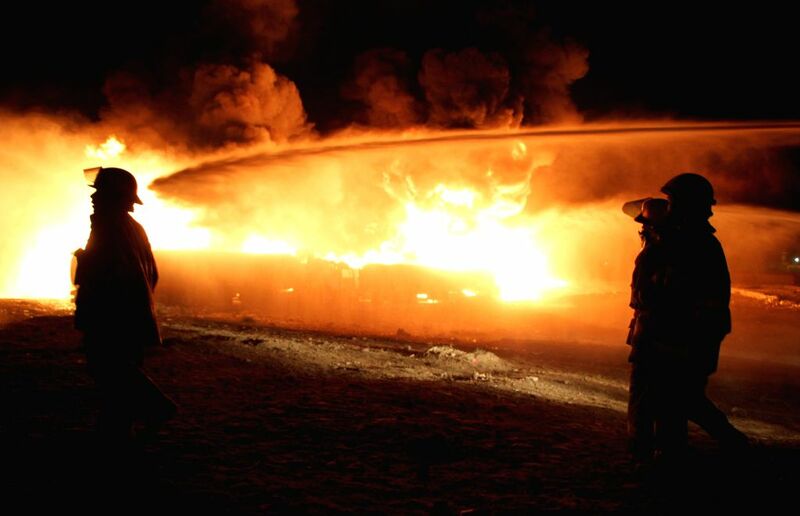 KABUL, July 5, 2014 - Fire fighters work as flames rise from oil tanker trucks hit by rockets in Kabul, Afghanistan, July 5, 2014. 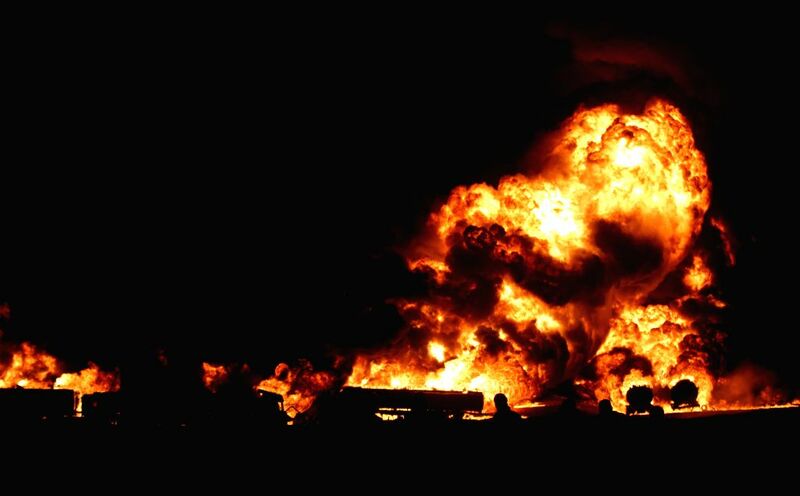 Oil tanker trucks were hit by rockets fired by militants in Kabul on Saturday. 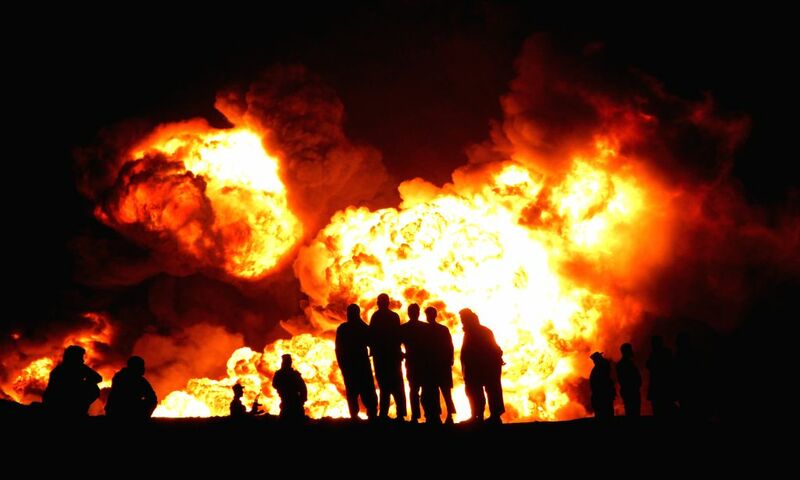 Flames rise from oil tanker trucks hit by rockets in Kabul, Afghanistan, July 5, 2014.